Orientation is the best way to get to know the U of R and meet fellow international students. 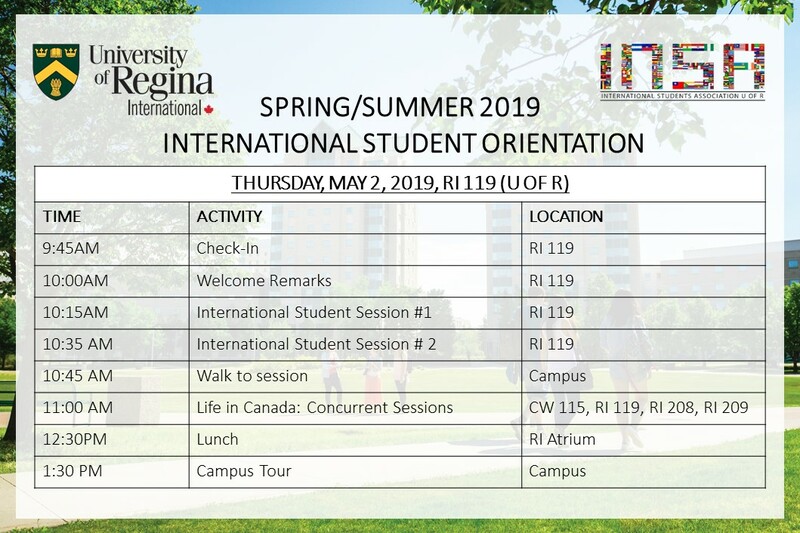 Join us on Thursday, May 2, 2019 for the Spring/Summer 2019 International Student Orientation to learn important and valuable information about the University of Regina and what supports are available to you during your transition in your first semester as a new international student at U of R! To view a campus map, please click here. Learn everything you need to know about health and safety on campus. Are you a new student needing to apply for a Social Insurance Number (SIN)? Service Canada will be on campus during select days to assist you with completing your application for a SIN! Sessions are free; please bring your valid Study Permit and Passport to your appointment.